1. Up To 50% Hilton Discount. Loyalty Traveler writes about a 50% “Friends and Family” discount for stays between December 14, 2012 and January 7, 2013 & booked by January 7, 2013. 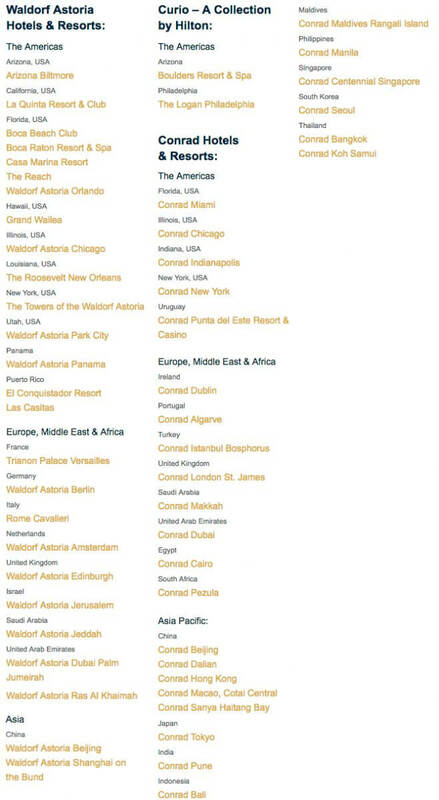 As Loyalty Traveler points out, there are some great deals available and you do earn points for the stays! 1. 500 Bonus Southwest Points. I got an email from Southwest promising a 500 point bonus if I use my Chase Southwest credit card to make a purchase at the Southwest shopping portal before December 31, 2012. The terms don’t specify a minimum purchase value, so I was thinking of buying a $1 iTunes to see if this worked for any purchase value, but decided to make a $1 donation to The Breast Cancer Research fund via Estee Lauder instead (just search for “donation” in the search box). Each Southwest point is worth 1.67 cents, so 500 points are worth $8.35. Points from the Southwest shopping mall usually count towards the Southwest Companion Pass, but I’m not sure about the bonus points, so I’m curious to find out more when my points post to my account. If you’re shooting for the Southwest Companion Pass in 2013, you could make a purchase from the Southwest mall a few days before December 31, 2012 with your Chase Southwest card. The points should then post to your account in 2013 and *if* the bonus counts towards the Companion Pass, it will post to your account in 2013! And, like the email signup and regular purchases at the shopping portal, they did not post as CPQP. One data point that may be useful to others in the future, my $1.29 iTunes purchase earned me the 500 bonus points – posted on Tuesday. Thanks for the update that they don’t count towards the Companion Pass! Anybody have points from this promo post yet? I made my first purchase through the sw mall the other day using my southwest card, but I don’t recall seeing that promo banner, do you think it will still qualify for the bonus? @Simon – I really don’t know!